Click on photo to view full photo album. The Asia-Europe Foundation (ASEF) reviewed its achievements and examined its current policies and future activities at the 39th ASEF Board of Governors' Meeting held on 22-23 June 2018. The meeting was hosted by the Asia-Europe Foundation in Singapore. At the meeting, the Board of Governors elected Mr Hervé LADSOUS, ASEF's Governor from France; Mr Ernesto BRAAM, ASEF's Governor from The Netherlands; and Ambassador Anita NERGAARD, ASEF's Governor from Norway, as new ASEF Executive Committee Members. 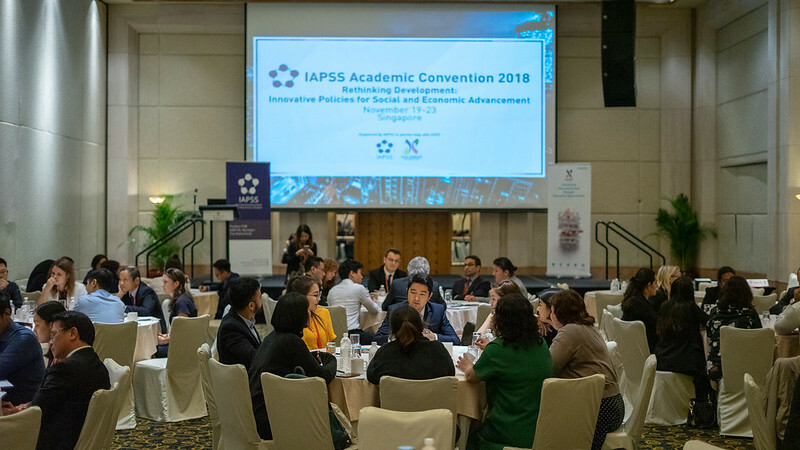 As part of the meeting, ASEF Governors attended roundtables with participants of the International Association for Political Science Students' Academic Convention 2018. The intergenerational dialogue featured the theme Rethinking Development: Innovative Policies for Social and Economic Advancement. 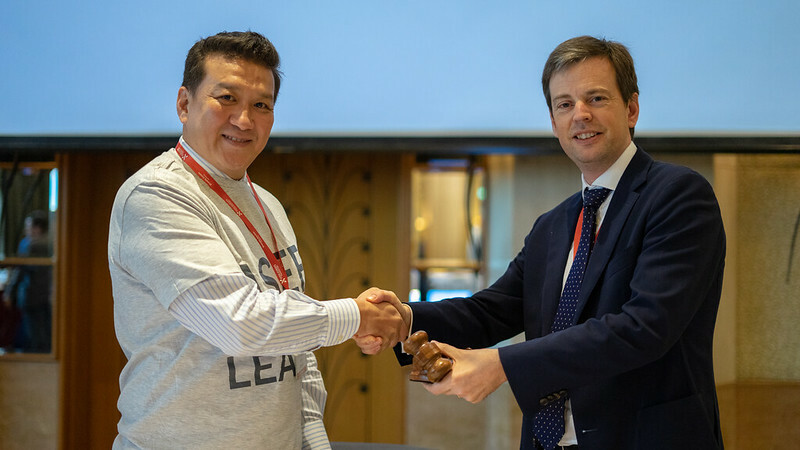 The end of the meeting represented a symbolic moment, as Ambassador TUMUR Lkhagvadorj, ASEF's Governor from Mongolia, approaches the end of his mandate as Chair of the Board of Governors. He will hand over the chairmanship of the Board to Dr Steven Everts, ASEF's Governor from the European Union, on 1st January 2019. Dr Everts will be supported by Ambassador Kojiro SHIOJIRI, ASEF's Governor from Japan, who will assume the role of Vice-Chair. Ambassador TUMUR handing over the gavel to Dr Everts. 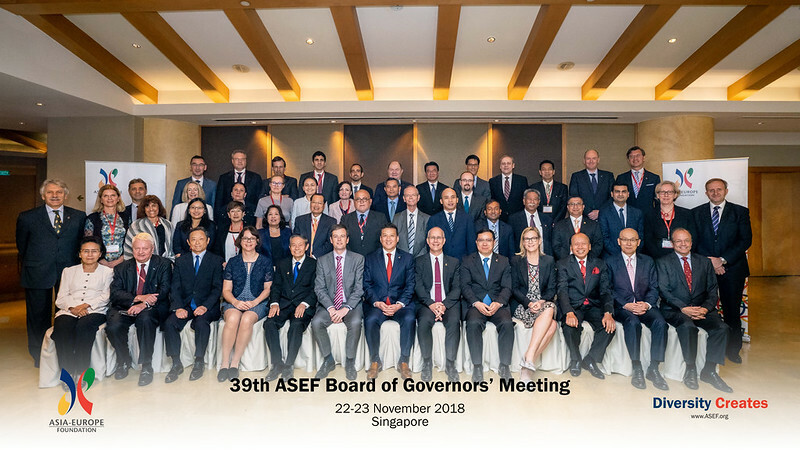 For a full list of ASEF Governors representing the 53 ASEM partners, please visit the webpage on the ASEF Board of Governors.